Disclosure: This post has been compensated by McDonald’s. All opinions are mine alone and have not be swayed by outside sources. The kids have been out of school for 2 weeks now and we have been nonstop since then. There is always somewhere to go and something to do in the summertime. And then after we are done and home, they are outside and in the pool! Needless to say, I pretty much collapse at the end of each day. When we are on the go and out of the house for most of the day, we almost always stop and grab lunch somewhere quick. The last thing I want to do on a warm day, is sit inside too long at a restaurant. Our go to place is McDonald’s because it’s quick and the girls are always up for a happy meal! Fast forward (or rewind actually!) to the end of last week. We were up and out early running errands before it got too hot. All the girls wanted to do was swim, but I dragged them in and out of places to do the things I needed to do. They were excellent on this particular day and as I drove by McDonald’s and saw the sign above, I knew it would be the perfect day to grab lunch on the way home and I could try the Lobster Roll, or Lobstah Roll as we say it here in New England! Yes, you read that right – I wrote McDonald’s and Lobster Roll in the same paragraph. 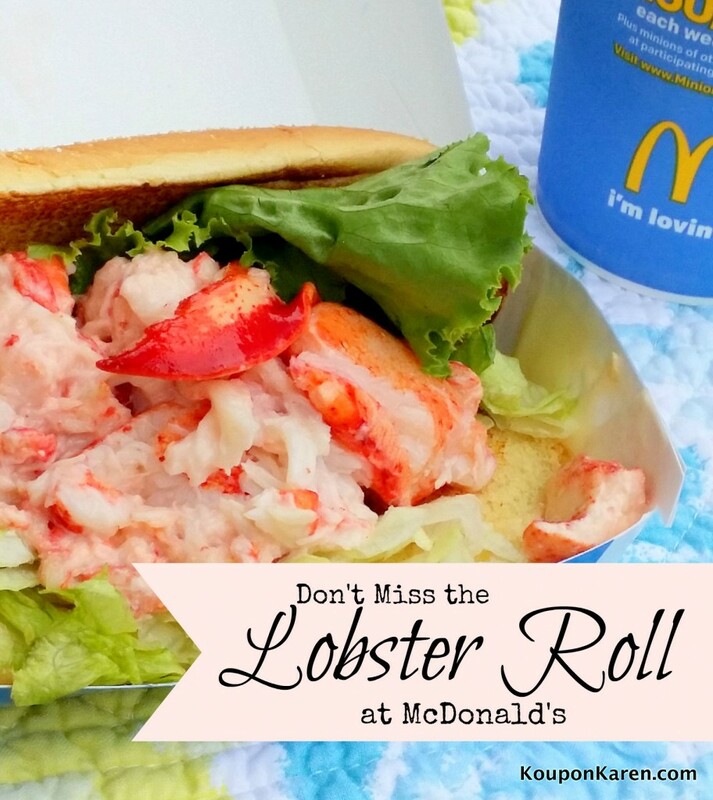 The McDonald’s Lobster Roll is back after 10 years and I was finally going to have one! 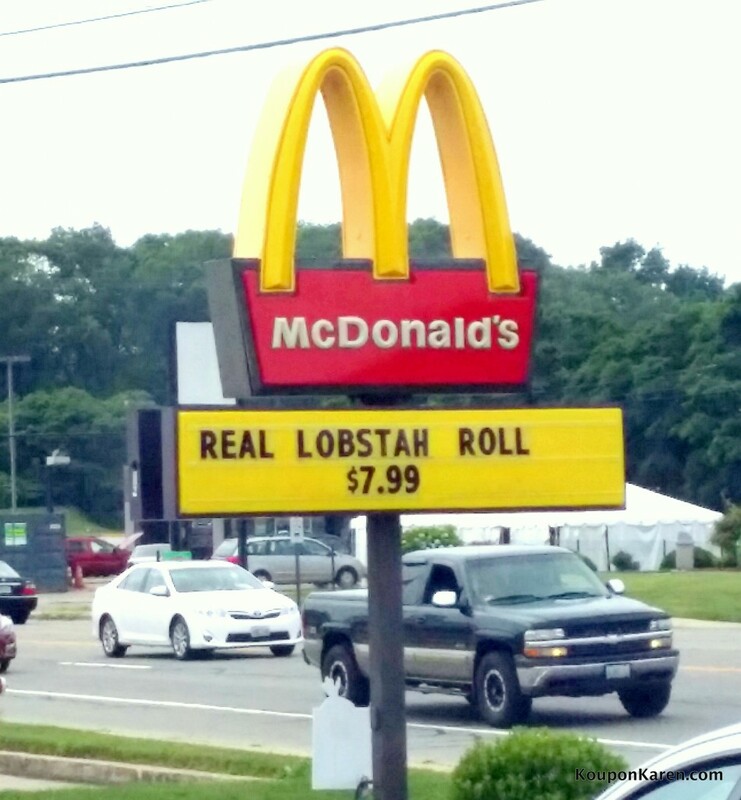 As of June 27th, you can find the Lobster roll at select McDonald’s restaurants in New England, but don’t wait to grab one, it’s only on their summer menu and won’t be around long. This regional favorite includes a generous portion of 100% Real North Atlantic Lobster mixed with mayonnaise dressing, layered on crisp leaf and shredded lettuce and served on a home-style toasted roll. What I love most about the McDonald’s Lobster Roll is the fact that it has only 290 calories and costs $7.99. If you live in New England, check your local McDonald’s restaurants in Maine, New Hampshire, Massachusetts, Rhode Island and Connecticut (excluding Fairfield County) for this shellfish delight! I love Lobster Rolls especially in the summertime. I’m not sure what it is but summer always yells “Lobster” for me! And on a hot day I don’t want something warm. A lobster roll will do just fine. Now that I can pick one up while getting lunch for the kids at McDonald’s, this mama may actually stop there more often! So how was it? It was exactly what I expected after opening up the box and looking at it. It was Delicious! It was overflowing with lobster, as you can see from the picture above and I got a generous bite of lobster each time. There is just the right amount of mayonnaise on this sandwich and the lettuce was super crisp and perfect. I love how they lightly grilled the roll which added a bit of flavor to each bite. 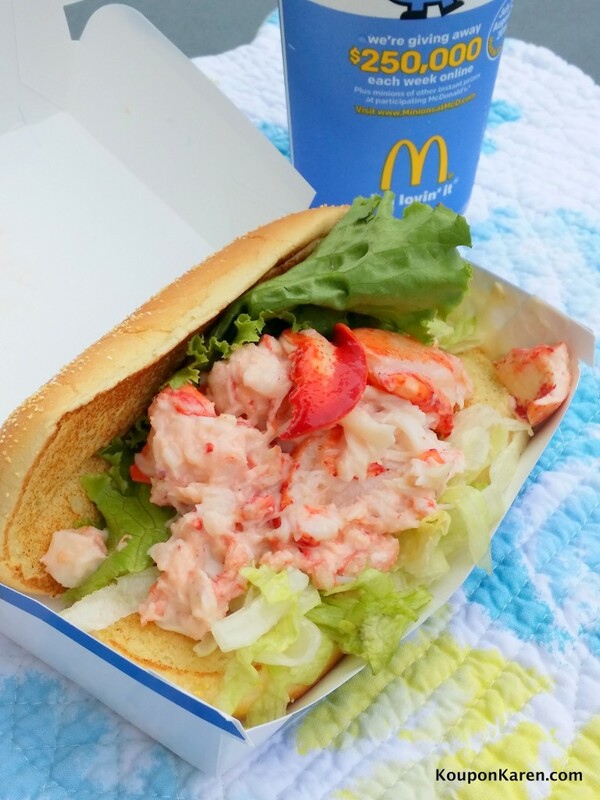 You can grab a McDonald’s Lobster Roll to go on your way to the beach, the pool or even your friend’s house! Grab two and share. At that price you can share and not break the bank. But try it before it’s gone again, because even if you didn’t think you’d like it, you will! I just know it. 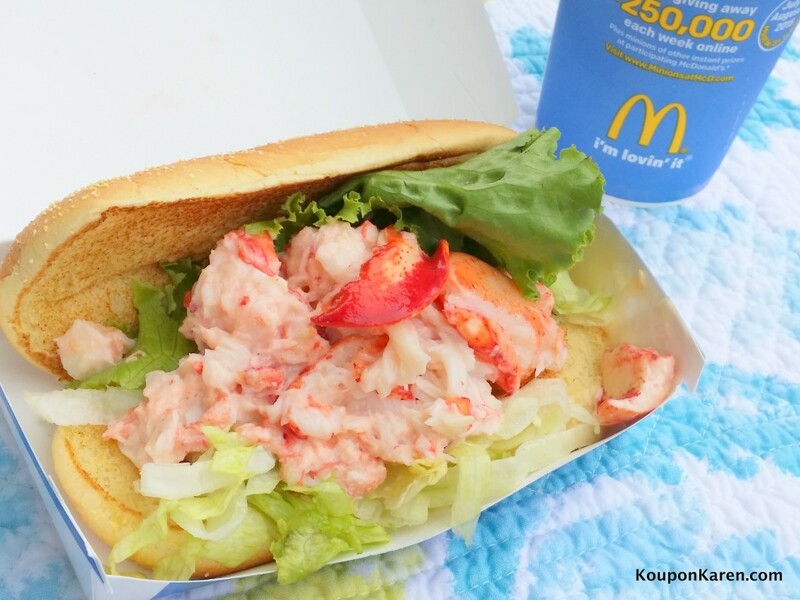 Will you try the McDonald’s Lobster roll this summer?